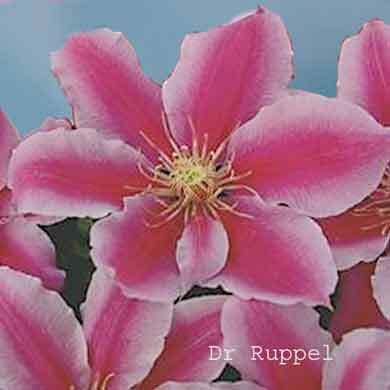 Raised in the Argentine, Dr. Rupple has become one of the better known recent varieties. Rose red with carmine bar. 6-8" (15-22cm) flowers in May, June and September. Mature height 8-12' (2.5-3.5m). Pruning group B1.